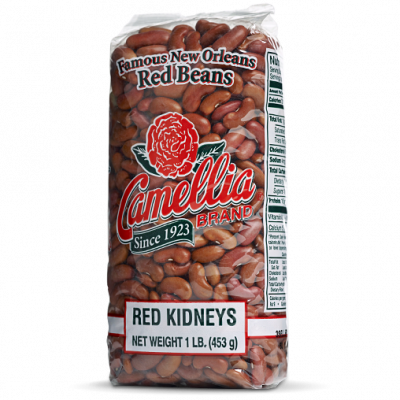 It’s no secret that I LURVE red beans and rice. But only mine. LOL! I’m far too critical of other people’s red beans and rice so I don’t even try them. I know…bad Mingo…BAD! But my beans are pretty dang delish. If you’ve ever had them… you know this for sure. 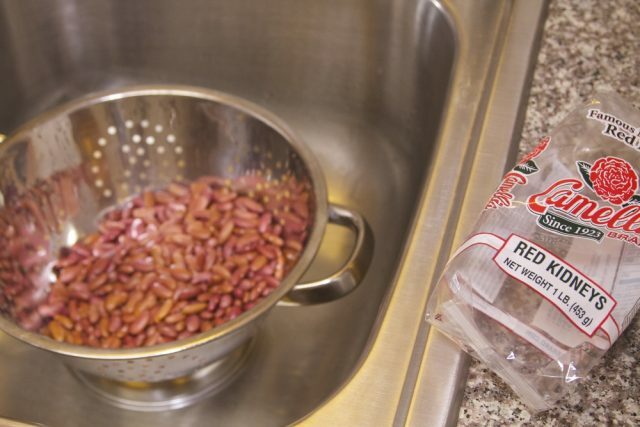 I season the beans while they are soaking in the water. Salt and pepper (black and cayenne) to taste *NOTE! I DON’T PUT IN SALT UNTIL THE VERY END AS YOU NEVER KNOW HOW SALTY THE HAM HOCK WILL BE! WHEN YOU HAVE YOUR LAST “TASTE” ADJUST SALT THEN…YOU PROBABLY WON’T NEED ANY! 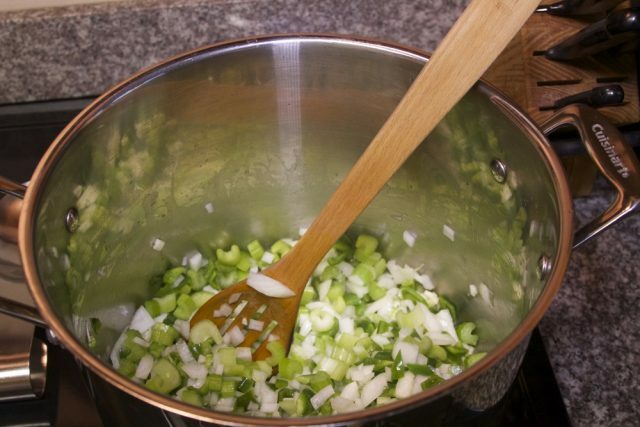 In olive oil, saute diced onion, celery, garlic and bell pepper for about 10 minutes. Add thyme, bay leaves, black and cayenne pepper. 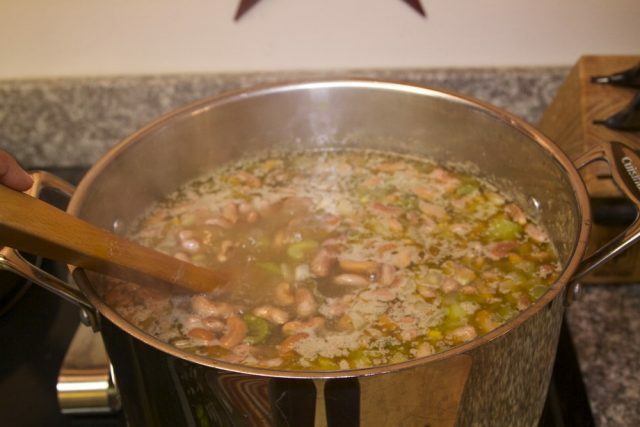 Add beans, broth, and ham hocks/bone, and bring to a boil, uncovered. 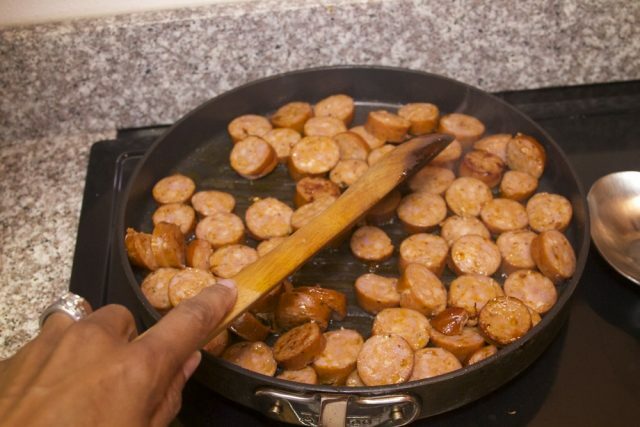 Add sausage. Reduce heat to low and simmer for 2 hours. YES…I SAID TWO HOURS! The best cooking is done slooooooooooooooow! After two hours, remove ham bone and put on plate. 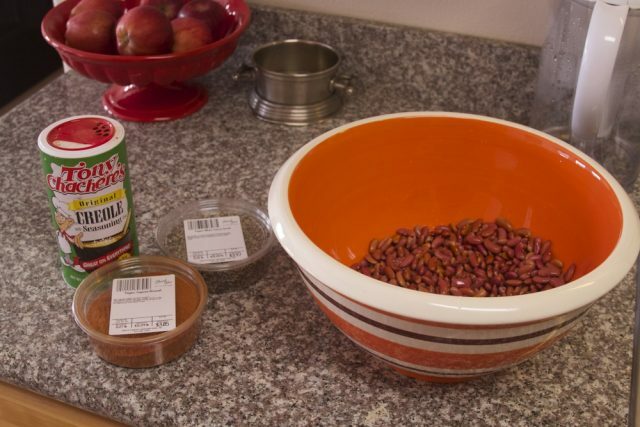 Then, scoop out about 1/2 cup of beans and mash them up. Carve meat off bone into bite sized pieces. Put meat ONLY back in pot. Taste and adjust seasonings. Bring to another low boil and stir mashed beans in well making sure they don’t stick to bottom of pot. 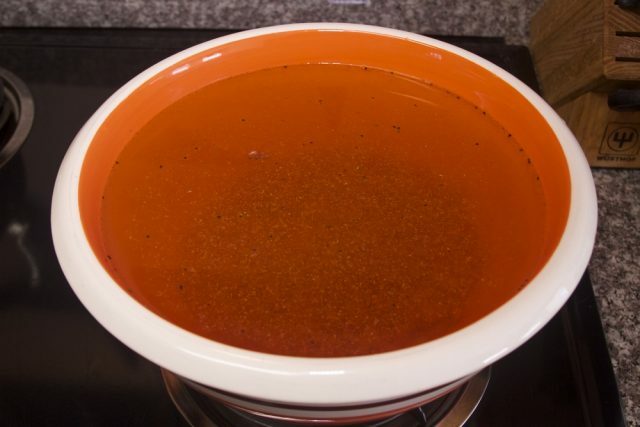 Lower temperature and simmer on low, covered, for 20 minutes. This makes the beans creamy. Serve over brown rice. Oh yeah…they will be muuuuuuuuuuch better tomorrow! LOL! 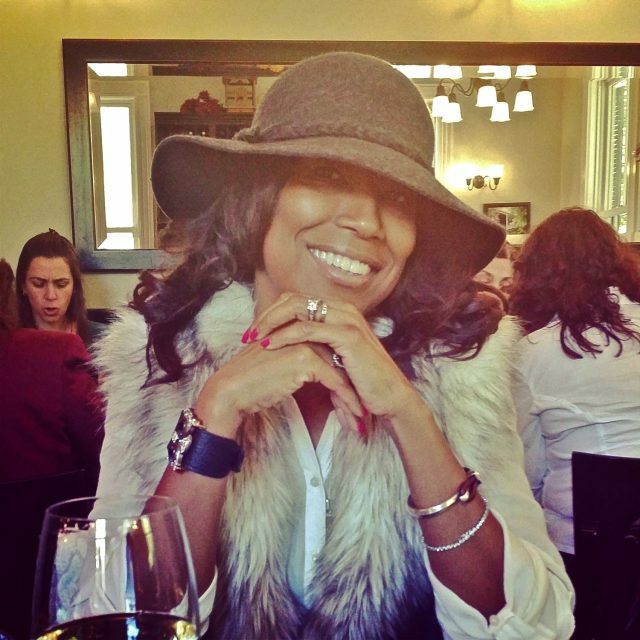 Monica Mingo is a filmmaker, author, and enthusiastic advocate for living life to the fullest. You can read more about her on her blog, That Gumbo Life.